Steven Billigmeier, MD, FAAP (Dr. “B”) is a San Joaquin County native, growing up in Linden, Ca. He attended Stanford University in Stanford, CA where he completed his Bachelor of Science degree in Biological Sciences receiving the Award of Excellence in Teaching from the Department of Biological Sciences in 1989. He continued his studies at the University of California, Davis of Medicine in Sacramento, CA, where he was inducted into the Alpha Omega Alpha Medical Honor Society in 1992. In 1993 he received his Medical Degree and was honored with the Award for Excellence in Pediatrics by the U.C. Davis School of Medicine. After completing his residency at the University of California, Davis Medical Center in Sacramento, CA in 1996, Dr. “B” began working with Dr. Cahill at her pediatric office in Stockton. Together they founded Pediatric Associates of Stockton in 1998. Dr. “B” married his Linden high school sweetheart, Jimi. Dr “B and Jimi have five children. They currently live in Linden where he is very active in many community and school events and activities. 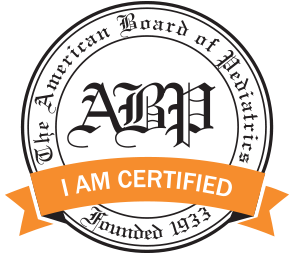 Dr. “B” is a board certified Pediatrician by the American Board of Pediatrics making him a specialist in the care and treatment of infants, children, and adolescents. He has active hospital privileges exclusively at St. Joseph’s Medical Center, where he was Chief of Pediatrics for six years. He is a current member of the American Academy of Pediatrics, the California Medical Association, and the San Joaquin Medical Society. In 2015, Dr. “B” received the honor of being selected to receive the Young Physician of the Year award by the San Joaquin Medical Society not only for his exemplary patient care but also his active involvement with the community. In his spare time, Dr. “B” enjoys spending time with his family, helping his community, along with going to sporting events and reading.